Have you ever heard of the Ting Tings? They sing this song, “That’s Not My Name!” It’s a little angry, but catchy. Have you ever heard of Celine Dion? Yeah, she is pretty famous. Her French album, D’eux is the best selling French album of all time. She has sold over 200 million albums worldwide. She has this teeny show at this hotel in Vegas, Caesar’s Palace. She is a huge deal. She is a famous superstar. 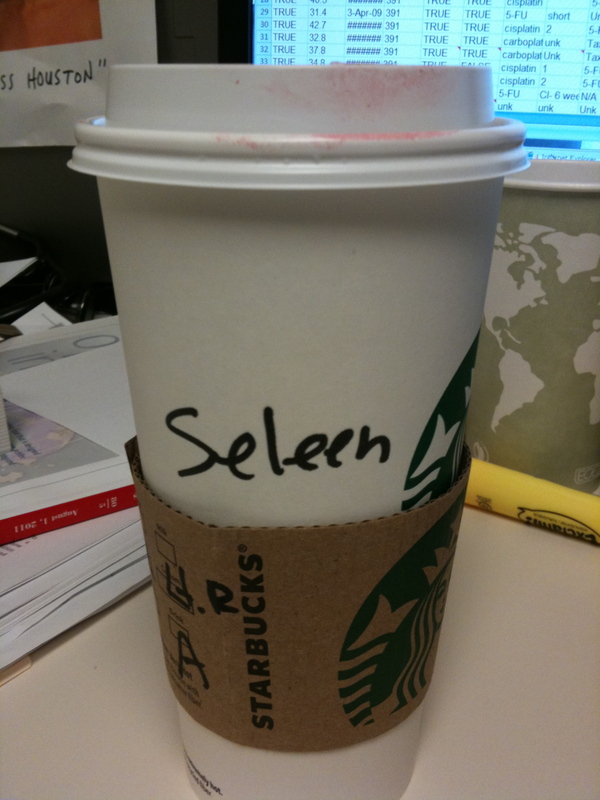 And her name is NOT that hard to spell. Obviously, they are spelling it out phonetically. Ummm yeah, that last one? Really? 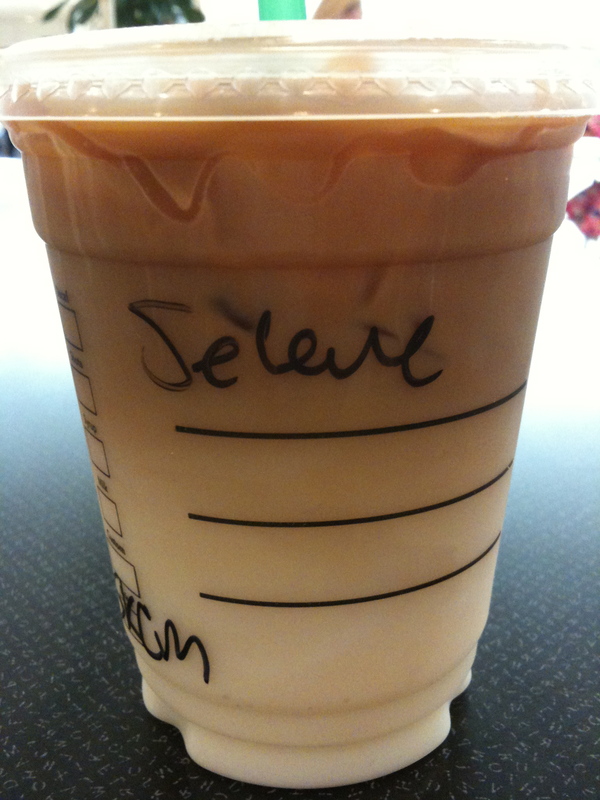 That isn’t even phonetically correct, unless you’re from the South…kind of. 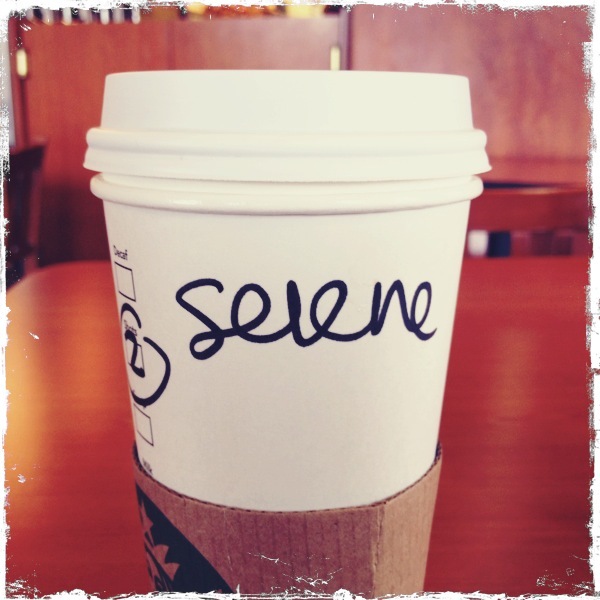 “Heeeyyyyy Say-leenne”. Yes, I have heard that. Saline is salt water, like the kind we use for IV fluids. Sorry for the angry rant, I should be happier. I’m in So Cal!! We went to Starbies this morning in the OC. I ordered 2 different drinks from 2 different baristas. 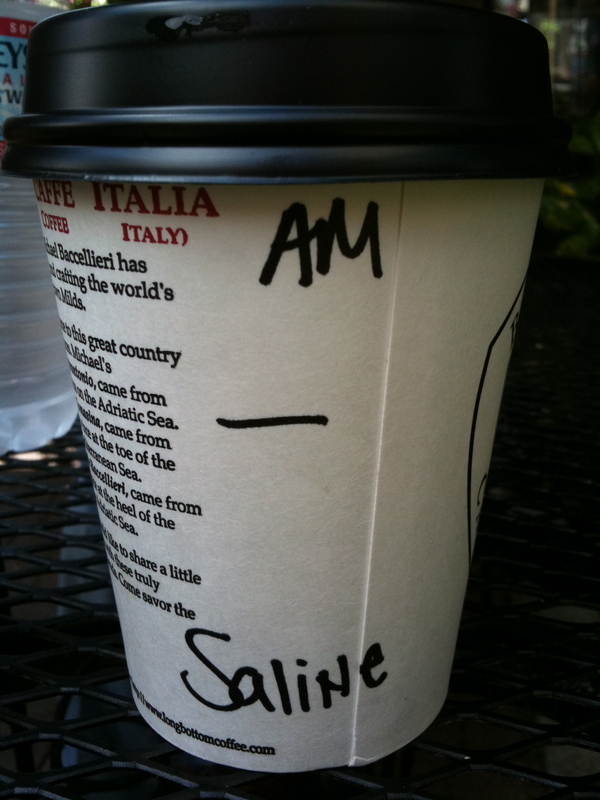 Now it would be REALLY awkward if someone important and involved in your life for say 4-5 years didn’t know your name, Saline. Truer words were never spoken. Bee kart out! hahha.. coming from a person who doesn’t have a common name.. welcome to my world! i love your posts. i am having a giveaway on my blog i thought you may be interested in. check out my blog for more information. Wow- how frustrating ha ha. 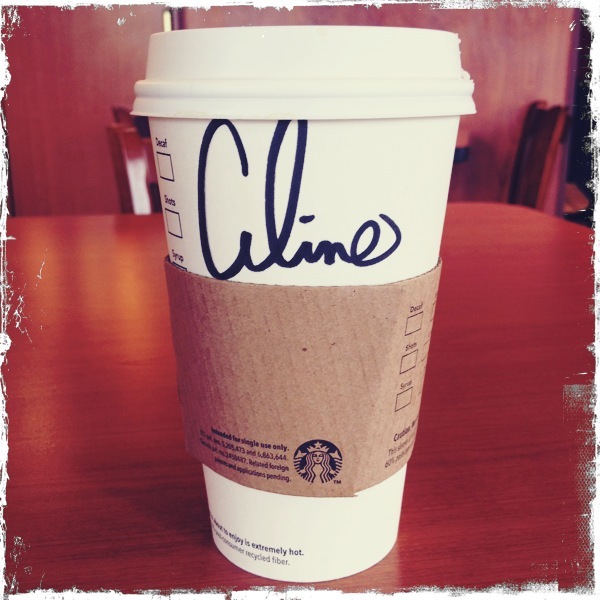 Next time just saw Celine- like the singer. This is my first time to your blog, but it won’t be my last. Loved visiting! Yes, it can be maddening. Thanks for visiting!! Ha ha that’s kind of funny. Maddening I’m sure. But NO ONE knows how to spell. Names especially. I always get “Gena” or “Genna.” One time, I got “Jeenah”. Ridiculous! I KNOW HOW YOU FEEL. Except your case has got to be way more frustrating since people should have a reference for your name. Mine is made up. I kind of feel you on that front though, because my maiden name, however odd it may be, is the same as that of a really famous director – probably the most rich and famous director you can think of – and people looked at me like I was speaking German. Which I guess I kind of was. I think that is a genius idea.